Anastasia “Annie” Rush grew up in Switchback, Vermont, learning all about her family’s maple sugar business, Sugar Rush, and developing a passion for food as her grandmother taught her to cook. But Annie’s dreams were larger than the family business or her small-town home. She dreamed of having her own television cooking show and sharing her grandmother’s philosophy concerning one key ingredient with the world. For a time, she also dreamed of sharing her life with Fletcher Wyndham, the outsider who stole her heart, but life happened and Annie and Fletcher became each other’s memories. Annie was still a college student when she met Martin Harlow, an ambitious, charismatic chef. When the two married, somehow Annie’s dream of hosting her TV show, The Key Ingredient, was realized with her husband as the star with an on-screen assistant whose white-bread beauty was not marred by the ethnic looks that characterized Annie. She became executive producer and the power behind the scenes. Still, Annie is happy with her life—in love with her husband, busy with their successful TV show, and thrilled to be pregnant with her first child. Then, in a matter of minutes, she loses everything. Running from a painful disillusionment, she is involved in a workplace accident that leaves her in a coma. A year later, she awakens with huge holes in her memory. Her husband has divorced her and returned her to her family like an unsatisfactory product. Gradually, Annie recovers her memories and begins to rebuild her life surrounded by her family (her estranged parents and her brother and his family) and old friends, including Fletcher Wyndham. Finding her grandmother’s cookbook even reawakens old dreams. But just as her new life promises reunion with Fletcher and all the other things she once thought would make up her life, the tantalizing possibility of reclaiming her old life complicates her new life. Only Annie can decide which life she will claim as her own. Nobody does the hybrid of women’s fiction and romance better than Susan Wiggs. In this new standalone, she gives readers the compelling story of one woman’s journey to discover who she is and who she wants to become and a sigh-worthy romance that reunites two lovers against all odds. Because Wiggs alternates between Then and Now sections, readers see Annie’s present illuminated by her past. This duality enriches both Annie’s personal journey and the romance between her and Fletcher. 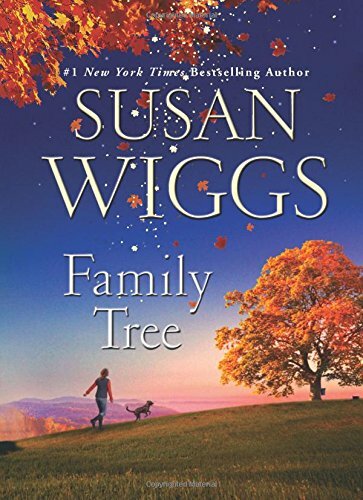 Family Tree, as the title suggests, is a relationship novel in the best sense of that term. Wiggs’s deft touch with characterization keeps the reader invested not only in the relationship between Annie and Fletcher but also in Annie’s relationship with her parents, her grandmother, and her brother, in Fletcher’s relationship with his father and his son, and in the relationship between Annie’s parents. Life on a Vermont maple farm is rendered with dimensionality and careful detail that emphasizes the stark contrast between life in Switchback, Vermont, and in Los Angeles. I finished the novel feeling as if I knew by heart this place and these characters. I have added this one to my Best of 2016 list, and I highly recommend it. If you are a fan of novels that make you weep, make you smile, and leave you filled with the belief that love in its many manifestations really can conquer seemingly insurmountable obstacles, I think you will love this story as much as I did. Sounds great! Thanks for bringing this book to my notice. I really loved it, Cheryl. I'm a long-time Wiggs fan, dating from her days as a writer of historical romance. I love reading Susan Wiggs! I am so looking forward to reading this book. I have this book & plan on reading it very shortly. Thank you so much for the review!